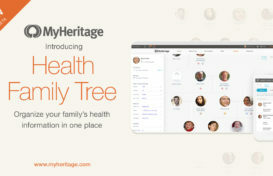 MyHeritage is the perfect place for preserving your family memories. 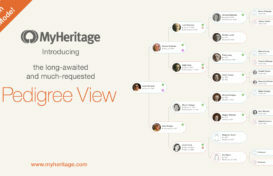 As of this week, storing your entire library of family photos with MyHeritage just got easier and more enjoyable. We have just completed updating the photos section on MyHeritage with a brand new look and improved functionality. All your photos, videos and audio files are now consolidated in a single, well-organized view. To see the new and updated photos section, simply sign in to MyHeritage and click “Photos” in the top navigation of your family site. The first thing you’ll notice is the interface redesign. The new photos section is attractive and fun to browse through. Some of the biggest changes, however, are behind the scenes: we’ve used the latest web technologies to make the new photos page incredibly fast. Whether you have hundreds of photos or many thousands, you’ll be delighted to see how quickly they load and how easy it is to browse through them. Your pictures and videos are sorted by the date added to your site; the most recently added items are at the top. Move the mouse over any photo to see more information, including title, date and place. On the left, filter photos by tagged people or by album. Under People, drill down further to list all people in your family tree who are tagged in photos. Clicking on an individual in the list will display all the photos that they are tagged in and moving the mouse over their name at the top of the screen will provide more information — and allow you to view the person in the family tree, see his/her profile, or search for historical records. Clicking on a person will show you all the photos that they are tagged in. At the bottom of the People list, you will find your media items that have not yet been tagged. Click on this entry to quickly tag them. Click the top right checkbox on each photo to select one or more photos. Then choose to download the selected photo(s), or go to “More Options” to add the selected photos to an album, or to delete them. In the top right of the Photos page, you can search for media items or upload photos into new or existing albums. 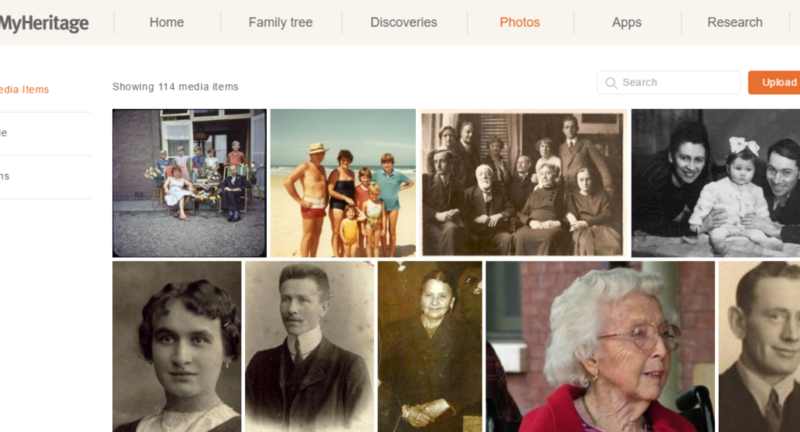 In the next releases, we plan to enhance photo search and single photo view, completing the revamped photo experience on your MyHeritage family site. Photos and other media enhance your family tree and help bring your family history to life. We invite you to visit the redesigned photos section and add pictures and videos, tag them and organize them into albums, and share them with your loved ones. Photo display was pleasing when I saw it. Certainly improves the viewing experience. In regards to publishing a Book rather than a chart, It would be nice to be able to have multiple pictures assigned to the person’s individual section. That way we could have a “baby picture near the birth section, if there was something assigned to the Biography section we could add a specific picture. Another picture (like a wedding picture) could be assigned to the marriage section, and possibly more, so when you get to the person’s section in your “Family Book”, it reads like a story with pictures and such to guide the reader and bring the ancestor or decedent to life. In my opinion, something like this would make the “Book” My Heritage allows us to put together a first class tool and focus point. People will want to make sure their information in perfect and would draw more attention to the site. LOVE the new display – a great improvement! I like the new format for the photo section of your site. I like that the photo thumbnails are larger, and that they do load up faster. Thank you. There is one thing I wished you had changed when you did this revamping of the photo section, and that was that in the “people list” you alphabetized by the surname rather than the person’s first name. People who are searching individuals know surnames, but not necessarily the whole name. Perhaps you can change that in future revamps. Hi, yes please change to surname for searching photos. love the layout. Also you need to add in the gallery “make profile photo”. As i have loaded photos and now cant change peoples profile pic. I have to go to the profile and re-add photo. So now im getting double photos. Hope this makes it easier to send photo’s to family members in the future. Thank you for the miriad of upgrades. I certainly chose the right group to join! New relatives and their backgrounds keep popping up regularly.